Run for your lives, it’s a slow and chittering Chumbley! 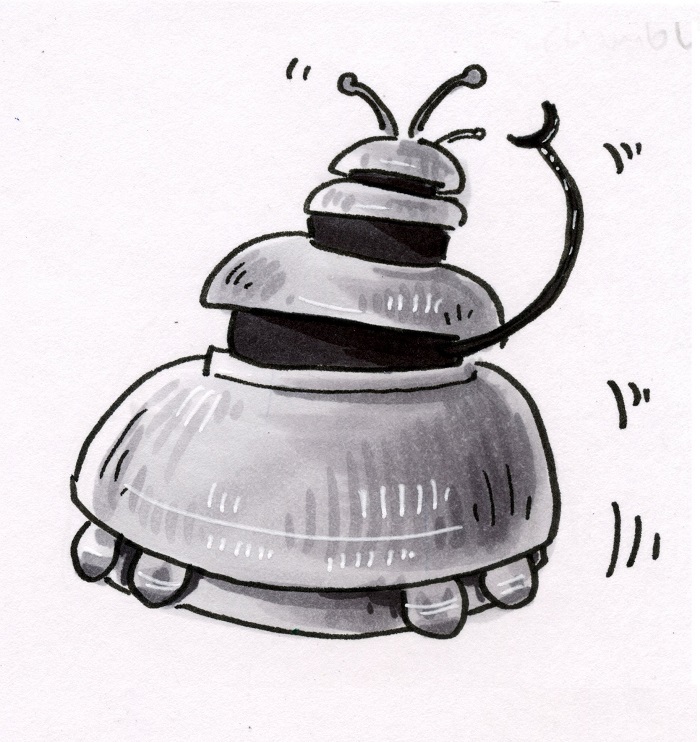 These slow little cuties were the robot minions of some baddies and they would slowly bump into things and you until you went where they wanted you to go. They also had a ray gun which helped the Doctor and companions take them a little more seriously. They were seen in the Galaxy 4.